The average value of a franchise increased 1 percent to $369 million, down from $379 million two years ago. Forbes estimated teams averaged $6.1 million in operating income. It said the total of teams that lost money is the most since the lockout-shortened 1998-99 season. Hey Fordham fans! Here is a video of Fordham’s long losing streak and what they need to do to win more games. Enjoy! An 85-year-old man from Onalaska has made it into the Guinness World Record’s book for the most perfect games of Wii Sports Bowling. John Bates recorded 2,850 perfect games from April 2009 through October 2010, to make it into Guinness World Records 2011 Gamer’s Edition. 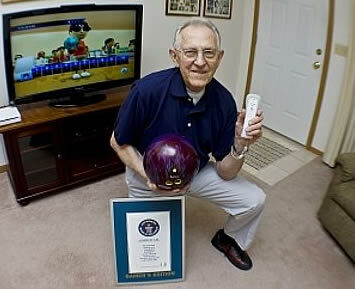 The retired high school principal first started playing Wii bowling at a friend’s house at the end of 2008. Bates, who is ambidextrous, started perfecting his scores after he started using both his left and right hand. Guinness says he also bowls regularly in a bowling league. 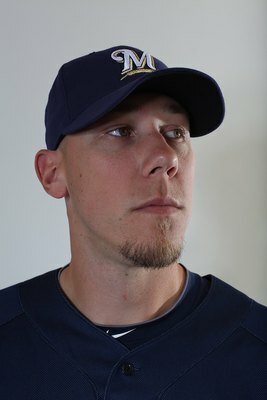 Right-hander Kameron Loe and the Milwaukee Brewers have agreed to a $1.25 million, one-year contract, avoiding salary arbitration. The reliever was 3-5 with a 2.78 ERA in 53 appearances for the Brewers last season, becoming a key member in stabilizing a bullpen that struggled early in the year. Beyond his base salary, Loe can receive up to $115,000 in performance bonuses: $25,000 for 50 games, $30,000 for 55, $35,000 for 60, $10,000 for 76 and $15,000 for 78. The 29-year-old asked for $1.65 million when salary figures were exchanged last week. The Brewers offered $1,055,000. Shaun Marcum and Rickie Weeks remain in arbitration with the Brewers. 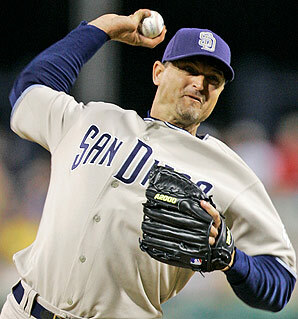 The closer on my All-Underrated team, Trevor Hoffman, retired last week. You probably caught wind of that someplace. So what better excuse is there to kick off a bunch of spirited saloon debates? We are rolling out the new, improved 2011 edition of (ta-taaaa) ESPN.com’s All-Underrated team of active players. Who comprised the distinguished panel that selected that team? Uh, that would be me — the unofficial czar of underrated/overratedness, by virtue of a best-selling book I feel obligated to shamelessly plug once or twice an hour. Got any better nominations? You can e-mail them to uselessinfodept@yahoo.com or tweet them at me at @jaysonst. Ready to start arguing? Cool. Let’s go. Any time a guy can claim to be a famous human trivia answer, I find it dramatically increases his chances of making these prestigious All-Underrated lineups. So how ’bout this little trivia classic: Name the only player in baseball who has whomped at least 20 homers before the All-Star break in eight straight seasons. Sorry. Time’s up. That answer would be Dunn, naturally. OK, then how many All-Star teams has he made in those eight seasons? Unbelievably, that answer would be zero. And anybody who could pull that off has to be massively underrated, right? One more emergency trivia bulletin: Who leads all major leaguers not named Albert Pujols in home runs since 2004? Right you are. Dunn (with 294). And only four guys are even within 50 of him. So clearly, this man is getting more underrated with every sentence. 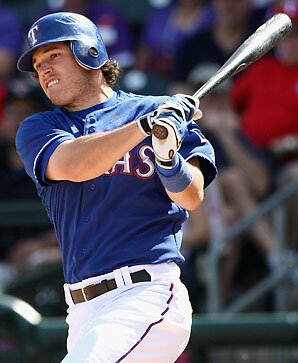 Kinsler slightly jeopardized his underratedness by making the mistake of playing for a team that made it to the World Series last year. I’m going to let him slide because he still meets the No. 1 qualification for all-underrated glory: Most of the hemisphere beyond the Texas state line continues to have very little idea how good he really is. Since Kinsler showed up in the big leagues in 2006, he’s the only second baseman in the American League in the 90-homer, 90-steal club. Only Robinson Cano has outslugged him. Only Cano and Dustin Pedroia beat him in OPS. 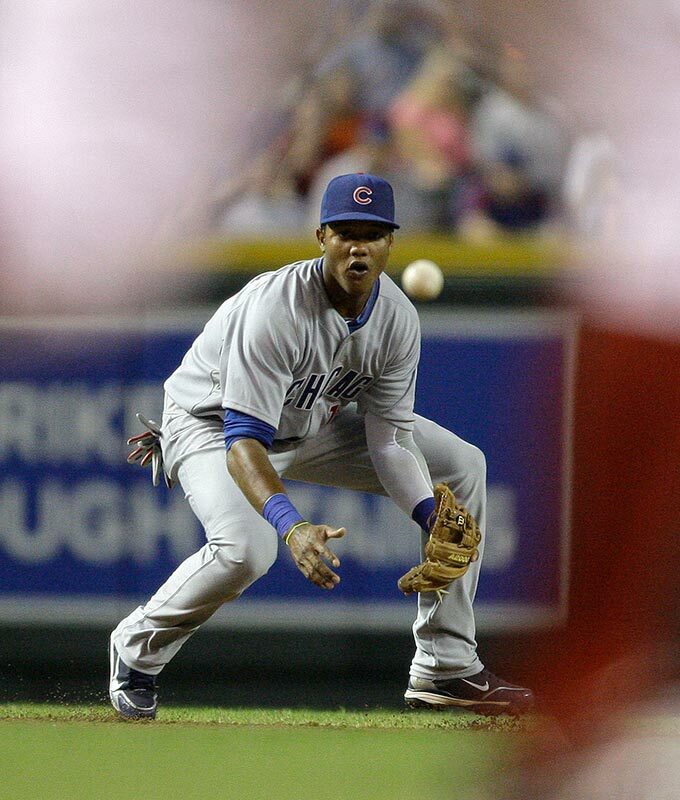 And the only active players at any position, in either league, who can top his 85.5 percent stolen-base success rate are Carlos Beltran and Chase Utley. If you’re stunned by any of that, thanks! You just helped me justify this whole selection. I’ll be honest, this was the toughest position on my whole board. (OK, if I were being totally honest, I’d have to admit I don’t even have an actual “board.” But that’s another story.) So I went with a guy whose amazing rookie season for the Cubs got lost in the stampede to glorify Buster Posey, Jason Heyward, Mike Stanton, Austin Jackson and like 75 other spectacular rookie batsmiths last year. I wonder how many living humans who have never set foot in Murphy’s Bleachers know, even now, that over the last 50 seasons only two other 20-year-olds have had a season in which they matched or beat Castro’s batting average (.300), on-base percentage (.347) and slugging percentage (.408). Good chance you’ve heard of them: Alex Rodriguez in 1996 and Kenneth Griffey Jr. in 1990. But even if you go all the way back to 1939, the only other guys who have done it are Ted Williams, Mickey Mantle, Al Kaline and Vada Pinson. Whoever the heck they are. So while I have some reservations about Castro’s day-to-day energy and concentration levels, I share the opinion of one of my scout buddies that “this kid’s going to be a star — and I don’t know how many people realize that.” Once he arrives at that cavalcade of stardom, he won’t be underrated anymore. So this might be the only All-Underrated team he’ll make in his whole life. I just hope he has a proper appreciation of the honor I’ve just bestowed on him. 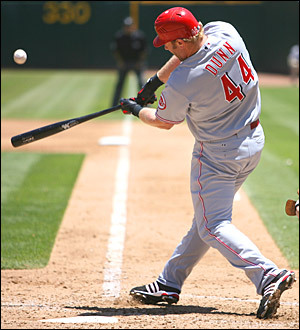 Josh Hamilton (8.0), Joey Votto (7.4), Pujols (7.3) and (drumroll, please) Zimmerman (7.2). So … do we have your attention yet? Thought so. If those WAR rankings are any judge (and clearly, they’re onto something), it means Zimmerman had a better year — if you factor in his bat and his top-of-the-charts third-base acrobatics — than Miguel Cabrera, Jose Bautista, Evan Longoria, Troy Tulowitzki and, well, essentially everybody else. That was an excellent boost for his underratedness. Add in that Zimmerman did all this in Washington — remember that 80 percent of all Americans are pretty sure that no one other than Stephen Strasburg played in Washington last season — and he was pretty much a lock for this team. Don’t you think? I knew Cuddyer had to be on this team someplace. If the guy would just stop playing five positions a year, it would be a lot easier to figure out where to put him. But while I’m penciling him into my lineup in right field because that’s where he’s played the most, it was his half season playing first base last year that best summed up what he’s doing in this column. 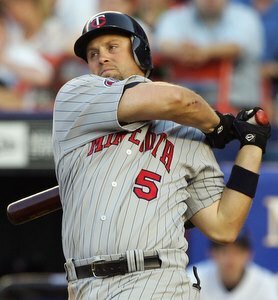 Thanks to knee issues that required offseason surgery and Target Field issues that didn’t, Cuddyer hit just .271, with 14 homers, last season. But I bet you didn’t know this: Just two right-handed hitters have hit 30 home runs for the Twins since Kirby Puckett’s heyday. One was Torii Hunter. The other? Cuddyer in 2009. If I can drop this man’s name into the same trivia line with Puckett and Hunter, that’s what underratedness is all about. Last year was McCutchen’s first full season in the big leagues, at age 23. And 33 steals, 35 doubles and 16 home runs later, he got himself ranked fourth among all center fielders in offensive WAR by baseball-reference.com. It’s safe to say that many of the guys behind him are a lot more world-famous than he is. Besides, there’s no better ticket to underratedness than playing for the Pirates. Heck, there are even millions of Western Pennsylvanians who aren’t 100 percent sure the Pirates are still in business. 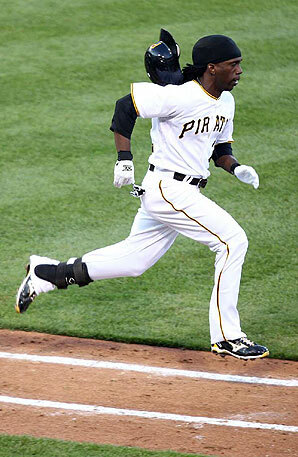 So the talents of Andrew McCutchen are so far off America’s radar screen, NASA might need a week to track them down. It’s hard to make a case that America isn’t aware that Braun is a good player, considering that this man has started three straight All-Star games. But I’m still contending that most of the noncheeseheads out there have no comprehension of how great he truly is. For instance, if I were to ask you which NL hitter has led the league in multi-hit games in each of the last two seasons, how many guesses would it take before you got to the Brewers’ trusty left fielder? Maybe 20? Maybe 80? But Braun would be the answer, all right. And if I were to ask you who, aside from Pujols, has the most extra-base hits in the whole sport over the last three seasons, how many of you would guess Cabrera, Matt Holliday, Mark Teixeira, Hanley Ramirez and about 50 more names before you got to Braun? That would be pretty much all of you, right? 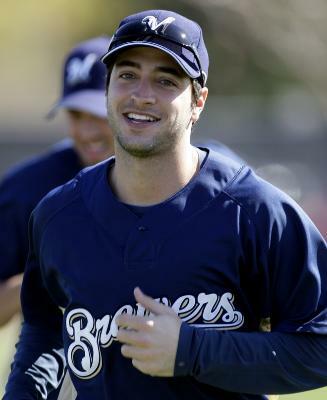 But again, Braun is the answer. Yet, this guy isn’t even the most famous hitter on his team (hey there, Prince Fielder), or the most famous left fielder in his division (Holliday, come on down). But I’m with one scout when he said, “Compared with Matt Holliday, I’d take Braun in pretty much every area.” Well, it would be hard not to take him in underratedness, anyway. Yeah, well, here’s an even more shocking development, right here on our planet: Ruiz created more runs per game (or, to be technical, per 27 outs) than Mauer last year. And Posey. And Brian McCann. And Victor Martinez. And every other catcher in baseball who got to the plate 400 times. 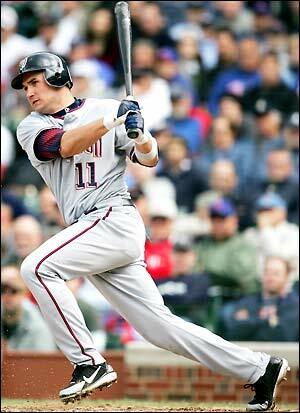 Ruiz and Mauer were the only two catchers in the sport with a .400 on-base percentage. Only Mauer and McCann topped Ruiz in WAR. Defensively, “The confidence his pitchers have in the fingers that go down is invaluable,” the same scout said. And here’s the clincher for all-underrated purposes: While Ruiz was the only regular in the Phillies’ lineup last year who had never made an All-Star team, guess who led the team in batting average and OBP? Right you are. 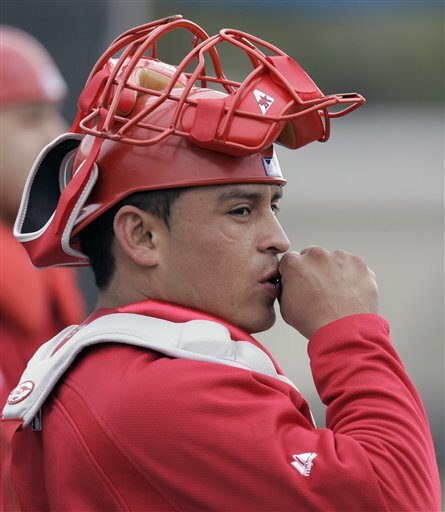 The most underrated catcher in baseball. Another quick quiz from All-Underrated team central: Which pitcher led the National League in ERA last year? Nope, it was not Roy Halladay. Or Adam Wainwright. Or Ubaldo Jimenez. Of course not. All these quick quizzes are comprised of trick questions, in case you hadn’t caught on yet. The correct answer is Johnson, obviously. Don’t go claiming that was just because he got to pitch in Sun Life Pro Player Dolphins Robbie Land Shark Turnpike Exit Stadium in Florida, either. According to baseball-reference.com, Johnson also led the National League in park-adjusted ERA-Plus. So try again. So what was the best thing his home park really did for him? Since there were only about 287 witnesses sitting in it to watch most of his brilliant starts, it propelled him right onto this All-Underrated team, naturally. If Soria sat next to you on a plane, would you know him from, say, Joe Hachem, the poker player? Don’t answer that if it incriminates you. I understand. 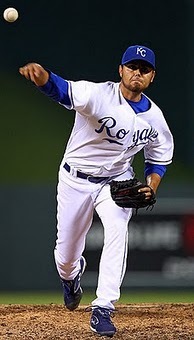 There can’t be a more top-secret dominator in the game than Soria, can there? And all this dominating has been going on for quite a while now. Since Soria started closing for the Royals full time in late July of 2007, he’s nailed down 122 of his 132 save opportunities — that’s 92.4 percent of them, second only to some guy named Mariano Rivera (92.9). Soria is also one of just two closers who have a sub-2.00 ERA and over 200 innings pitched since then (1.92). The other: Yep, Mariano (1.85). 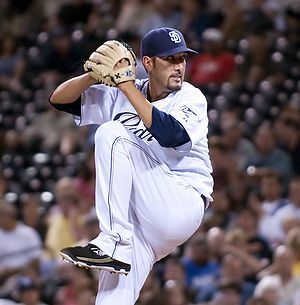 How ’bout this: Soria not only led all big-league relievers in Win Probability Added last year, but according to baseball-reference.com,his WPA of 5.061 was better than any WPA score Rivera has rung up in any season since he became a closer in 1997. Yet ,our man Soria isn’t even the most famous Joakim in pro sports (we’ll give Joakim Noah that one). But at least he’s now, officially, the most underrated closer in baseball. There are undoubtedly thousands of Americans running around who think that Mike Adams was one of the signers of the Declaration of Independence. Well, they’re close. He did once pitch in the Pioneer League. But the only declaration we’re making around here is that this gentleman is the most underrated set-up man alive. Since 2008, when he first rolled into San Diego, the poor guys who have had to swing the bat against this fellow have hit .183, had an OBP of .244 and slugged .271. So where does that rank among all relievers who forgot to save a game in all that time? No. 1, of course. And nobody else is even close. Once again, his home park (Petco) doesn’t hurt those numbers. But Adams has a park-adjusted 207 ERA-Plus in that time. So don’t go Petco-ing this guy. Oh, and no more underrated guy, either. So that’s our team. Got your own nominees? Start firing them at us. And let those saloon debates begin.